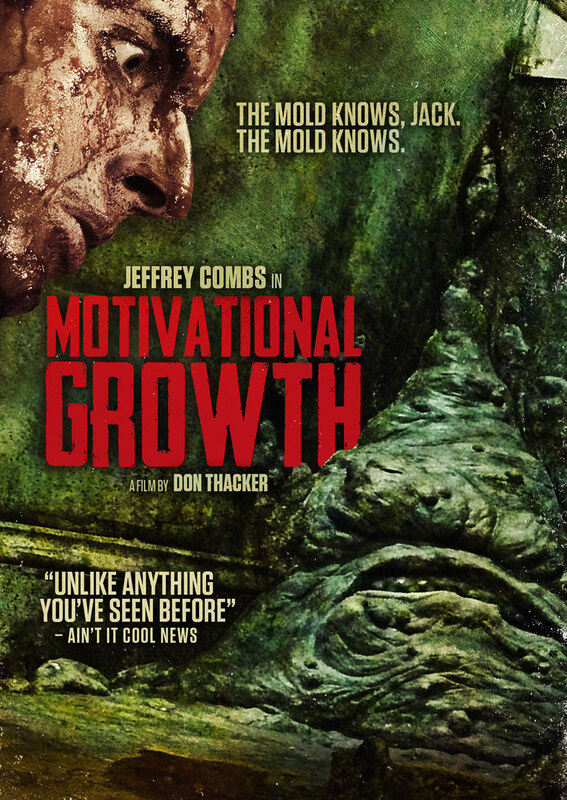 If there’s one film that I saw in 2013 that stayed with me longer than any other, it is Motivational Growth. Most of you haven’t had the chance to see it yet, but I have a feeling that when you do, you will love it as well. 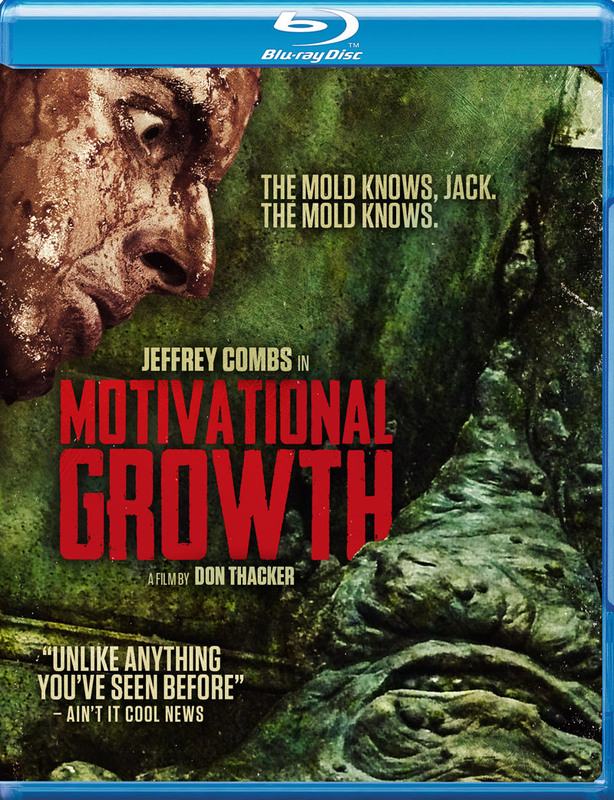 I’ll admit, that if somebody had told me that I would absolutely love, a film about a guy talking to a huge pile of intelligent mold that is growing in his bathroom floor, I’d probably have told them that they were insane. It’s an absurd premise, but some of the greatest films of all time have absurd premises as well. 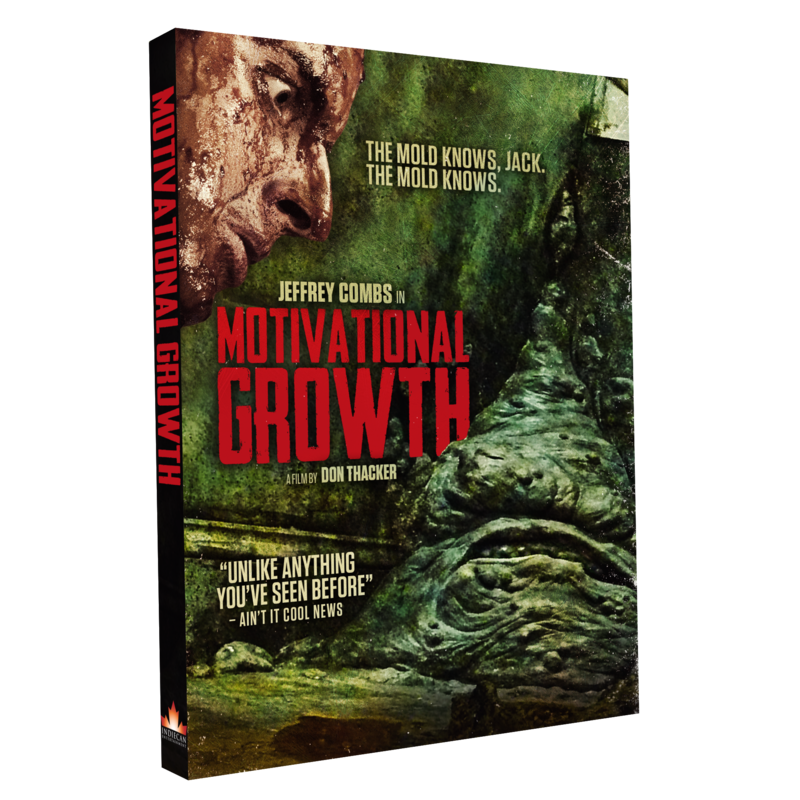 Motivational Growth is shot, acted, and edited so exceptionally well, that I think it will appeal to many, even those that aren’t usually a fan of oddball indie horror flicks. The details of a North American release of the film have surfaced. Check the press release out below, and be sure to secure yourself a copy when it becomes available. 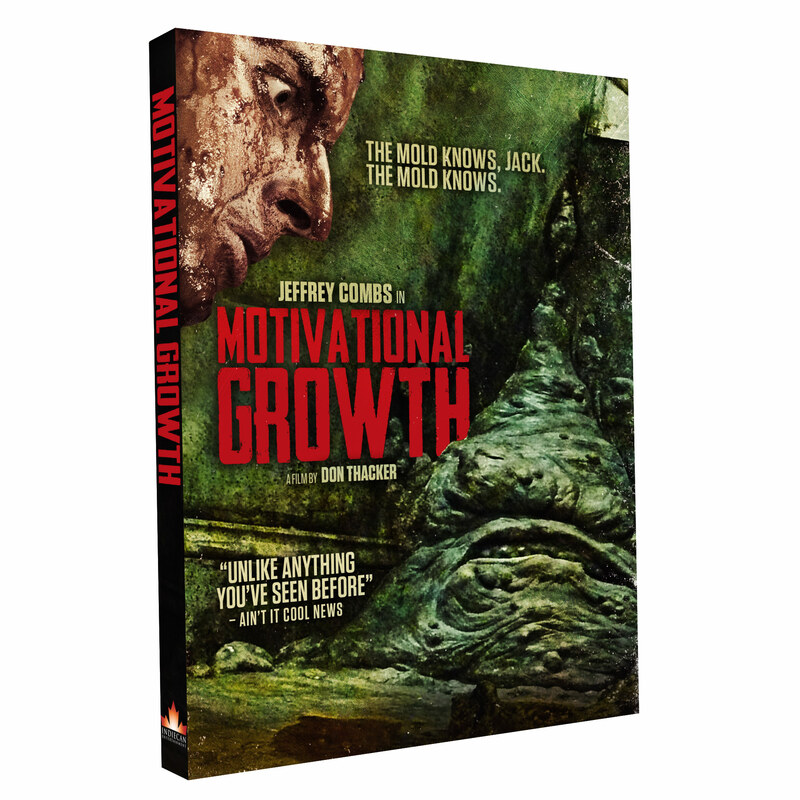 Toronto, Canada – August 7, 2014 – Indiecan Entertainment, Parade Deck Films and Devolver Digital have teamed up to release Don Thacker’s sleeper festival-hit MOTIVATIONAL GROWTH(starring genre-legend Jeffrey Combs). The film will hit VOD worldwide on September 30th (via Devolver in most countries, and Indiecan in Canada), Blu-Ray & DVD in Canada on the same date, and DVD in the US the following week (via Parade Deck), on October 6th. Also, as a bonus for those attending FanExpo/Festival of Fear in Toronto (August 28th – 31st), advance copies of the film will be available at the Indiecan booth (#5412). The DVD release will include a commentary track (with actors Jeffrey Combs and Adrian DiGiovanni, and director Don Thacker), a photo gallery and trailers. The Blu-Ray edition will also include some additional behind the scenes material. Based in Portland, Oregon, PARADE DECK FILMS distributes independent films through digital distribution, physical distribution (DVDs&BD) and film promotion. We are a U.S. armed forces veteran owned company that focuses on films that think outside the box and bring you the very best that independent film has to offer. In partnering with film producer and consultant, Christian Burgess, co-founder Michael Ingram has found a platform in which quality films can find reputable and reliable distribution. Hence Parade Deck Films was born. The company works thoroughly with filmmakers and producers to release the film with the vision intended from conception to release. With every purchase of our films we donate a portion of the proceeds to veteran’s charities and those helping to educate inner city youth and the homeless to express themselves in the art of film. Please visit us at paradedeckfilms.com Go Indie!! IMAGOS FILMS is an independent film production company with the creative compulsion and self-appointed obligation to tell stories you’ve never heard before.